Home Our Garage Door Services Garage Door Opener Why is My Garage Door Not Closing? 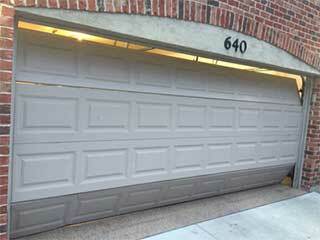 An automatic garage door is an excellent investment that can add beauty, functionality, and security to any home. However, it is a complex electro-mechanical system, and as such, it can experience all sorts of issues that can prove very annoying to deal with. Of course, when something does go wrong, you'll probably prefer (wisely) to let a professional take care of things (our team is here for you in that case). But understanding the potential causes of problems can help you avoid issues in the longer run. If your door is not functioning properly, the safety, as well as the security of your home, can be greatly compromised. Therefore, it is important that you find out what's causing the door to malfunction and get the problem resolved as quickly as possible. Your garage door opener is the motorized device that automates the performance of the system. But it is not exempt from problems, unfortunately. Improper installation is one of the leading causes of issues. However, that doesn't describe the actual problem at hand. Issues with the circuit board can easily cause the door to fail to respond or even lose all power. A worn motor gear will prevent the opener from being able to move the door at all. Whatever the case may be, a professional technician should deal with it, as mishandling the opener can dangerous. One of the most common reasons why a garage door will not close is due to problems related to the photoelectric sensors. They are in charge of detecting obstacles and can cause the door to reverse when you try to close it if they are misaligned or otherwise damaged. If the sensors are not working as well as they should, you may notice that one or both of their lights are blinking. Their alignment will need to be checked and they may need to be repositioned. If their lenses are scratched, or if their brackets are damaged, they may need to be replaced entirely. This is another common reason why doors do not close properly. If warped and bent garage door tracks are often the cause of grinding of the rollers and various movement issues. These components can also become blocked by debris, and cause the door to get stuck. Track repair and even complete replacement are rather complex tasks, so they are best left for our technicians to handle.